Only 58% of the patients receive treatment timely. A commission created by the Health Ministry has analysed the statistics of medical activities of the ministry's Institute of Heart and discovered massive violations of the existing treatment protocols for acute coronary syndrome and myocardial infarction. 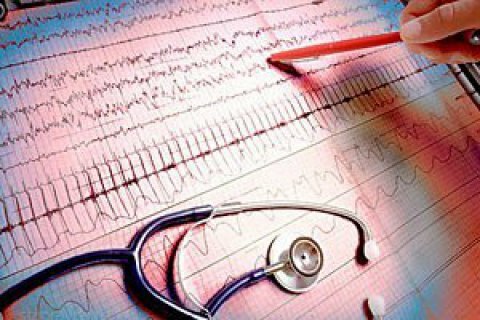 Deputy Health Minister Oleksandr Linchevskyy in a comment to LB.ua said that the 2016 audit of 100 records of patient hospitalized with acute coronary syndrome or acute myocardial infarction conditions found that only 58% of the patients were timely hospitalized in the clinic for reperfusion therapy. In 2015, 90% of such patients were administered stenting operations during the daytime working hours 9:00 to 18:00. In the meantime, at least a third of reperfusion therapy patients must be operated at night, Linchevskyy said. According to the uniform clinical protocol treatment of acute coronary syndrome with sustained elevation segment that the ministry approved in 2014, the primary percutaneous coronary intervention or coronary stenting should be carried out as soon as possible. The time between first contact of the diseased with the medical staff to to primary PCI should not exceed 90-120 min. In high-risk cases the delay shouldn't exceed 60 minutes. The Heart Institute, says Linchevskyy, is grossly neglecting the treatment protocol: "The number of patients operated within the first two hours after the onset of symptoms, does not exceed 2% against the average of 18% in other cardiology clinics of Ukraine." In a statement on 11 January, Ukraine's Health Ministry said the Heart Centre has grossly overcharged vascular operations involving the placement of heart stents. Last December, the ministry said public procurement in cardiovascular medicine would be carried out solely through an international organization.